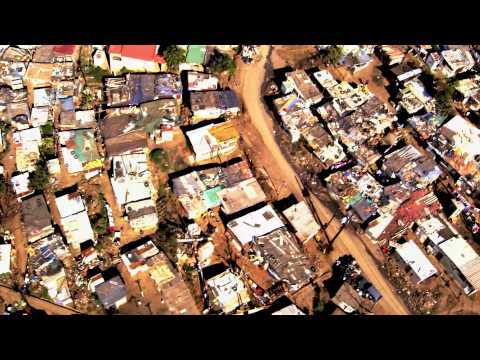 July 21, 2011 Dear Mandela explores the inspiring story behind Abahlali BaseMjondolo, the largest movement of the poor to emerge in post-Apartheid South Africa. The documentary will have its world premiere at The Elizabeth Sneddon Theatre on Tuesday, 26 July 2011 at 18:00 as part of The Durban International Film Festival. On Tuesday, 150 Abahlali BaseMjondolo members will watch the remarkable story unfold on the big screen of how they stood up to protect their community against Red Ants, bulldozers, assassination attempts and forced removals eerily reminiscent of the Apartheid-era. This week, the KZN-based movement won another victory in court when 12 people affiliated with Abahlali BaseMjondolo were finally acquitted of all charges of murder related to a September 2009 attack on the organization in the Kennedy Road informal settlement in eThekwini. Clear evidence of an attempted police frame-up emerged in court, where four witnesses testified that the police had told them who to point out in the lineup, and another admitted that she had been asked to lie. Dear Mandela is directed by American Christopher Nizza and KZN-born Dara Kell, whose editing work includes the Oscar-nominated documentary Jesus Camp. Christopher and Dara are recipients of Participant Media’s Outstanding Filmmaker Award, representing Africa, and put their lives at risk to film key scenes. The project was made possible through support from The Sundance Institute and The National Film and Video Foundation. The documentary is beautifully shot by Emmy-winning cinematographer Matthew Peterson and co-produced by South African Neil Brandt of Fireworx Media (uGugu noAndile, A Lion’s Trail). The documentary is a coming-of-age story about the new generation of born-free leaders emerging to continue Madiba’s struggle for equality. The title of the documentary refers to another of his comments. “I would like to meet Dr. Nelson Mandela and ask him how he feels about these unstable conditions that we are living under after he stayed about 27 years in Robben Island for the better life for all. I do not like the fact that what he has been jailed for has never been achieved,” Mnikelo says in the film. Sixteen years after Mandela was elected president, the number of families living in informal settlements has doubled and “housing for all” seems like a promise the government will be unable to keep. Dear Mandela will also screen at eKhaya Multi Arts Centre in KwaMashu at 6pm on Wednesday, 27 July 2011 as part of Durban International Film Festival, as well as on Friday 29 July 2011 at Luthuli Museum in KwaDukuza at 3pm and at The Nelson Mandela Youth Centre in Chatsworth at 6pm. “It’s a homecoming from the film – which was born in the shacks and has its story told by shack dwellers,” says Dara. Dear Mandela is set to be one of the most talked about and inspiring films at this year’s Durban International Film Festival. UPDATE: Dear Mandela won Best Documentary at the 2011 Durban International Film Festival.